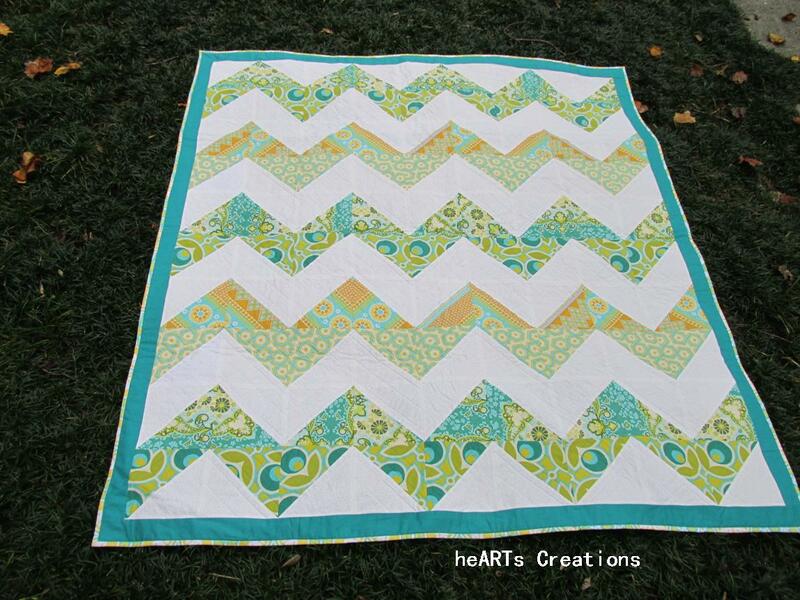 When I had all the blocks for this quilt on the design board, it reminded me of a cool mountain mist. Maybe it was wishful thinking as it has been in the 90’s here! The prints are from Joel Dewberry’s Notting Hill and the solid fabric is a white on white. I also used a solid teal color for the border. I prefer the dimension the two tone white gives to the quilt. This is a simple chevron pattern using half square triangles. It is one of the five gift quilts I have been working on this past year. All are now done, only one more to post! In keeping with the simplicity of this quilt, I machine quilted it using straight lines following the zig zag design. I do hope the recipient enjoys this quilt as much as I enjoyed making it. 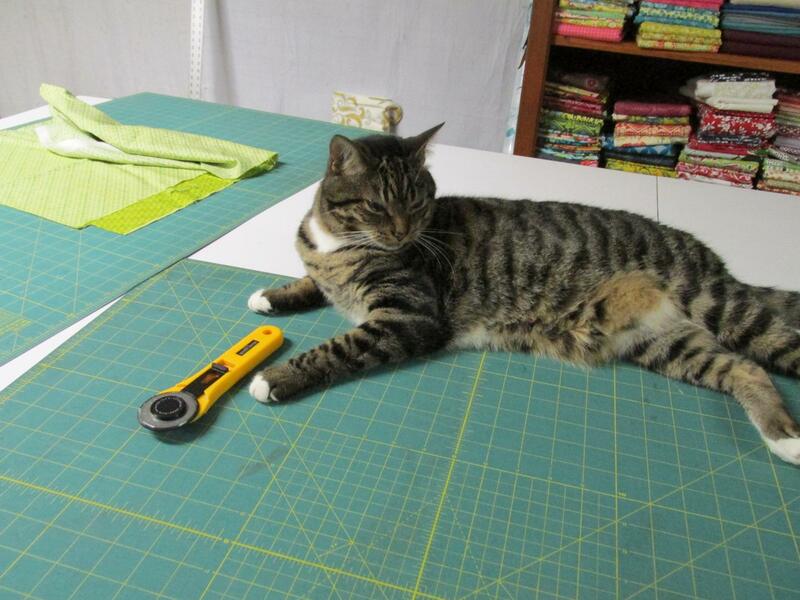 Taz – supervising the cutting process. Posted in Fabric, Quilting, Stash and tagged Color, projects, Quilt, Quilting. Bookmark the permalink. 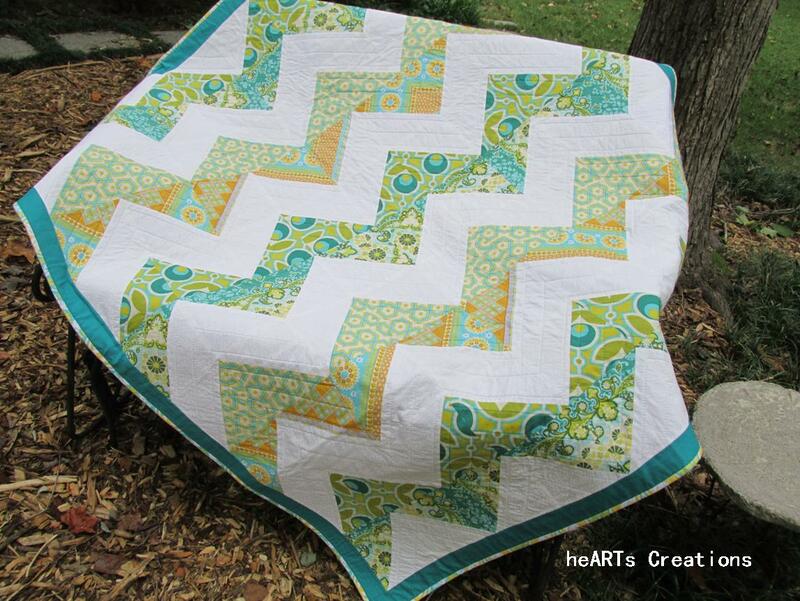 Love Love Love these colors and the design…I’ve been really drawn to Teal shades lately and this quilt is just lovely. I really like the idea of white on white too. Well Done!! Really stunning…and my kitty would be in exactly that same spot! The colors and the fabrics are beautiful!